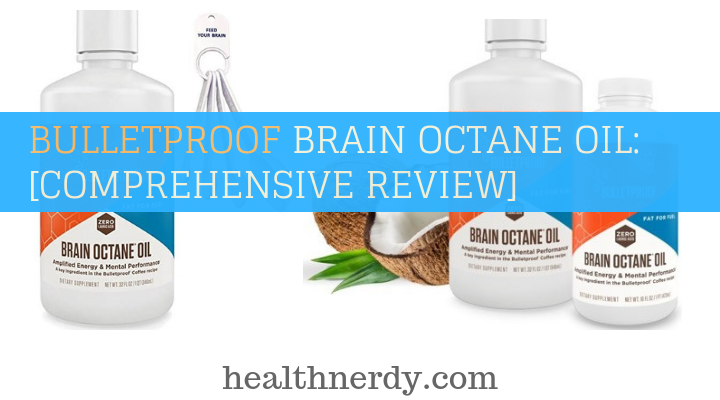 Bulletproof Brain Octane Oil Review (2019 Update): Is there Benefits? You are here: Home / Weight Loss / Diet Plans / Ketogenic Diet / Bulletproof Brain Octane Oil Review (2019): Facts To Know Before Buying? 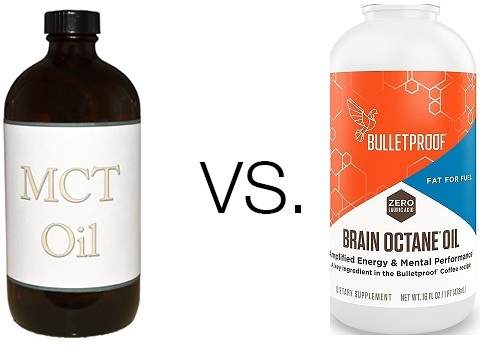 Bulletproof Brain Octane Oil Review (2019): Facts To Know Before Buying? Let me guess: you want to know whether Bulletproof Brain Octane oil is as beneficial as they say. It has been said to be 18 times more powerful than coconut oil! After all, medium chain triglycerides have been shown to reverse the Alzheimer’s disease! But you’re curious whether this supplement can do more than just take the jitters out of coffee. You want to know how it can improve your ketogenic lifestyle. Supposedly, it makes your hair soft, and your skin was glowing. This isn’t just a regular MCT oil or powder from local fitness shop; it’s much bigger than that! But can it also help you lose weight? 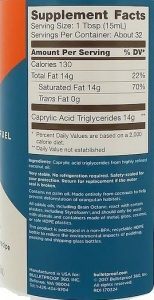 Let’s see how this MCT can benefit your keto diet! What is Brain Octane? Facts! Bulletproof Brain Octane Oil Ingredients & Nutrition Facts? What Are the Benefits for the Keto Diet? MCT Oil Origin. Where it comes from? 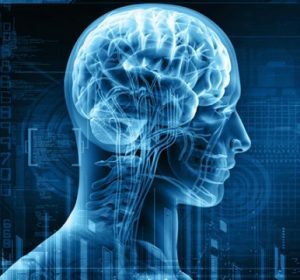 Effectiveness of Bulletproof Brain Octane Oil / Does it Work? Is There a Better Alternative & Where to Buy? Brain Octane Oil (BOO) is a supplement that supports the ketogenic diet. It’s a unique supplement that contains beneficial fatty acids that can help you on the weight loss journey among other things. This MCT comes from the Bulletproof company, and it’s backed up by a number of professionals and extensive research. In other words, this is a high-quality oil, much more powerful than plain old coconut oil because it’s loaded with healthy fats that can help your body get essential nutrients on a keto diet. The only and most important key ingredient of this Bulletproof's Brain Octane oil is 100% pure MCT oil derived from medium chains triglycerides. More specifically, it contains pure caprylic acid (C8), a fatty acid with 8 carbon atoms, hence the name octane. It’s beneficial for the keto diet because the C8 oil mimics the effects of ketosis in your body, helping you burn fat faster while improving your brain health at the same time. Plus, C8 is very easy to digest, and it isn’t stored in the body. You can buy it in 16 oz. bottle or 32 oz. bottle! When buying this product, you get what you pay for, a high-quality oil without any fillers, additives, trans fats or cheap chemicals like hexane. After all, caprylic acid(C8H16O2) has been shown to demonstrate numerous benefits for the body. An important ingredient of coconut oil, C8 can help to improve the health of your skin and hair, leaving them smooth and glowing. It’s also a common homeopathic remedy for acne problems. Due to its powerful anti-inflammatory properties, caprylic acid can help with a number of conditions. 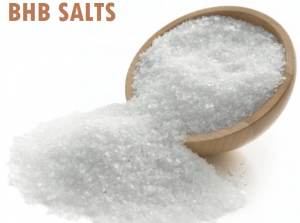 It can reduce general inflammation in the body, help with inflammatory bowel diseases, Crohn’s, and ulcerative colitis. If suffering from any of these, consult your doctor before using this supplement, but it should be beneficial. Plus, C8 also comes with antibacterial, antimicrobial, and antifungal properties. It may also help reduce certain candida infections! Caprylic acid has been shown to reduce cholesterol levels. Studies have shown that it has beneficial effects on overall brain health. Not only does it boost the performance of your brain, improving memory and reducing brain fog. It also helps to protect the brain from various diseases, such as Alzheimer’s. Since the MCTs are known to speed up digestive function, the oil is an effective supplement to the keto diet. It’s important to restore the health of your muscles after every workout and to provide them with the necessary nutrients. 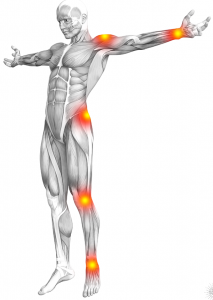 MCTs may prevent you from losing muscle mass during intense exercise sessions. Brain Octane produces 4 time the ketone energy of regular oil (coconut), and also promotes immune function and healthy digestion. MCTs are medium-chain triglycerides, medium chain fatty acids. These are saturated fats and get their name from the length of their tails that depends on the number of carbons they consist of. MCTs are important because they help with ketosis by turning into ketones. Still, not all MCTs are created equal; some turn to ketones faster than the others, but in general, they provide pure fuel for your body, free of sugar and protein. 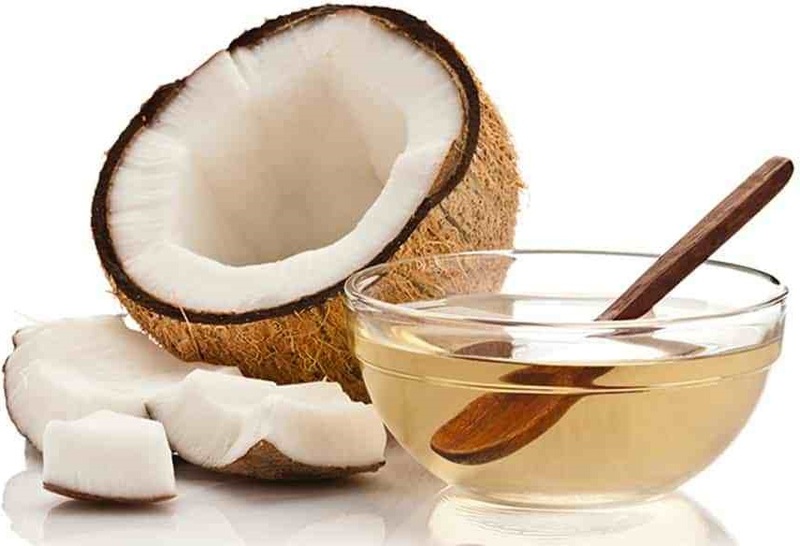 In most cases, MCT is naturally found in and derived from coconut oil. In some cases, it also comes from palm oil, but even though this oil isn’t considered to be environmentally friendly. In short, orangutans are under a serious threat because their living habitats are being wiped out to make space for palm oil plantations. What’s more, palm oil-based MCT oil isn’t as potent as MCT that’s derived from coconut. Bulletproof Brain Octane MCT oil is expeller pressed, using only pressure. It’s 100% coconut based, and it’s produced in the USA. Well, it’s oil. If you’ve ever had a spoon of pure oil for breakfast, you can get an idea about the taste. It’s odorless and mostly tasteless (apart from a faint hint of coconut flavor in the back). But, the good news is that this one is incredibly versatile, so see below for recommendations on how to take it. Still, Perfect Keto tastes lightly better since it’s literally tasteless, which makes it easier to add it to drinks and recipes. For those of you looking for a products with a flavor, give Onnit MCT oil a try. I’m not a fan of the flavor, but it may become the next best thing for you! Bulletproof Brain Octane Oil brings a number of benefits to the table, and it has been generally considered as a safe supplement. For those who have never taken any MCT before, they might experience side effects. The same goes for those who exceed the recommended dose. Consult with a physician before taking this Bulletproof brain octane 0il supplement if you suffer from a liver disease, MCAD, and hypotension. Avoid using it if breastfeeding or pregnant since there’s a lack of information whether this supplement is safe to take or not. There are a few ways to take this brain octane oil. The easiest and most direct is to swallow a spoonful of it, but it’s not the best! Yes, you can start small and take half a teaspoon a few times a day. Gradually, once you get accustomed to it, you can increase the amount until you get to 3 tablespoons during a day, even before bed. If that’s not something, you can adjust to, incorporate it into your recipes instead. Feel free to mix it with your salad dressings, add it to a pesto and marinades; it goes great with smoothies and shakes as well. Feel free to bake and cook with it, just don’t heat it over 320°F. Does Bulletproof Octane Oil really work? It may take a while for your body to start adjusting to a new supplement, especially one as powerful as this, but many online reviews claim that your morning coffee will never be the same after you start adding Bulletproof brain octane oil into it. Most of them confirmed experiencing improved mental clarity, focus, and elevated physical energy levels. It somewhat feels like drinking a lot of coffee but without the caffeine. You don’t experience the jitters, the racing heart, and the anxiety. I was able to tell the difference, and even though it started out slow, I began to love the effects this supplement has on me. What’s more, it’s even more effective with exogenous ketones; the combination really helped me raise my ketone levels even more! While I’ve already been using BHB salts to help me with ketosis, I primarily decided to try Bulletproof Oil because I wanted to give it a try. I’ve always been a huge fan of oil that comes from coconut (seriously, I use it for everything) and this product got me curious, so I wanted to check whether it’s really as powerful as they say. I was thrilled to discover that this brain octane oil did all the company promised and it’s very easy to use it. I regularly add it to guacamole, shrimps, and salads. It improves my bulletproof coffee, and I’ve been able to boost weight loss at the same time! It’s beneficial like pure coconut oil, but just so much healthier and potent. 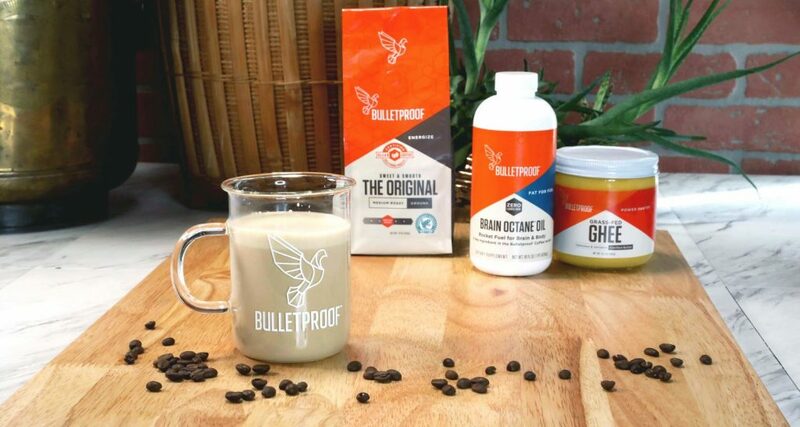 Does Bullet Proof Brand is selling any other Types of Dietary Supplements? Bulletproof Brain Oil isn’t the only MCT oil on the market, but it’s one of the best. After all, it’s based on high-quality ingredients that are both sustainable for the environment and provide you with the maximum effects. 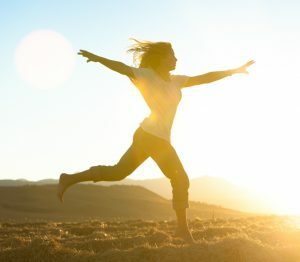 You can expect clear mind, energy boosts, suppressed hunger, and improved fat burn and weight loss. I love it how easy it is to add it to recipes and all the health benefits it comes with. Most of the MCT oils may come from coconut oil, but it’s the fatty acid content that matters the most. And Bulletproof only gives you C8, which is a rare saturated fat that kicks you straight into ketosis by providing pure fuel for your body. The only thing I dislike it that it’s a bit pricey. Also some people may experience side effects (disaster pants - as for all of this types of products). Sill, as good as Bulletproof may be, there are two others that easily surpass it. 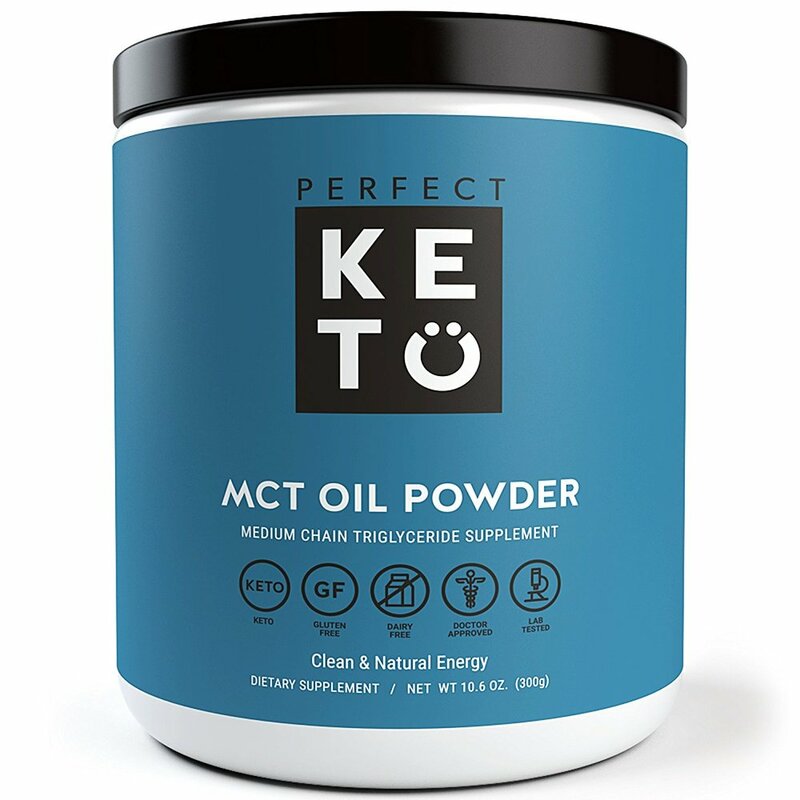 In my opinion, they make much better alternatives to this oil: Onnit MCT Oil and PerfectKeto. They are just as effective as Bulletproof Brand but bring a bit more options to the table. Onnit packs a delicious flavor and Perfect Keto allows you to choose between an MCT oil and MCT oil powder! Wondering where to buy? Online retailers such as Amazon, Walmart, and even Whole Foods offer these supplements. I believe the best place to buy these supplements is directly from the company’s website. I’ve had the chance to save a lot of money with coupons they offer now and again, Save& Subscribe options on their websites and other discounts.